More and more researchers are studying Vitamin D, the sunshine vitamin. 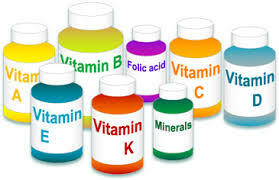 Thoughts in the community reflect that this vitamin that we may be deficient in may enhance fertility in humans. A new study coming out of Ireland shows that it indeed enhances fertility in sheep, continuing to assuage the community into linking it to reproductive health. Essentially the sheep with higher Vitamin D levels had more lambs. This is one of the first and only studies involving wild animals, showing that this phenomena may apply to mammals in controlled environments as well as natural environments. Vitamin D levels are harder to study in humans because of the variation in sun exposure. What does this mean for humans? Not only should we be getting some straight sun exposure everyday (that’s right, no sunscreen for 10-15 minutes/day), but it also means some of us may need supplementation, be it in the form of food or supplement. So what’s the next step? get your levels checked, and take charge of your health. If you are trying to conceive or are thinking about using assisted reproductive technologies such as IUI, IVF or ICSI, please consult with your doctor or fertility health care provider for guidance on how you can optimize your fertility right away. Here at Santa Monica Fertility we are happy to answer any of your questions.